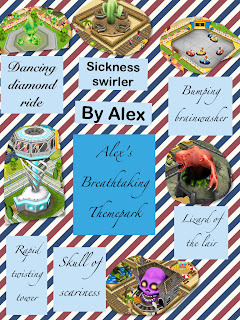 Theme Park allows you to run and build your own theme park, adding rides and different attractions to make money and keep customers happy. As always I looked at this game thinking of ways to use it in class to engage the children - following the idea of Camouflage Learning. The app is free however lures you into those dreaded in app purchases, so making sure these are disabled is a must. The app allows you to build your park in very small steps over days or even weeks. 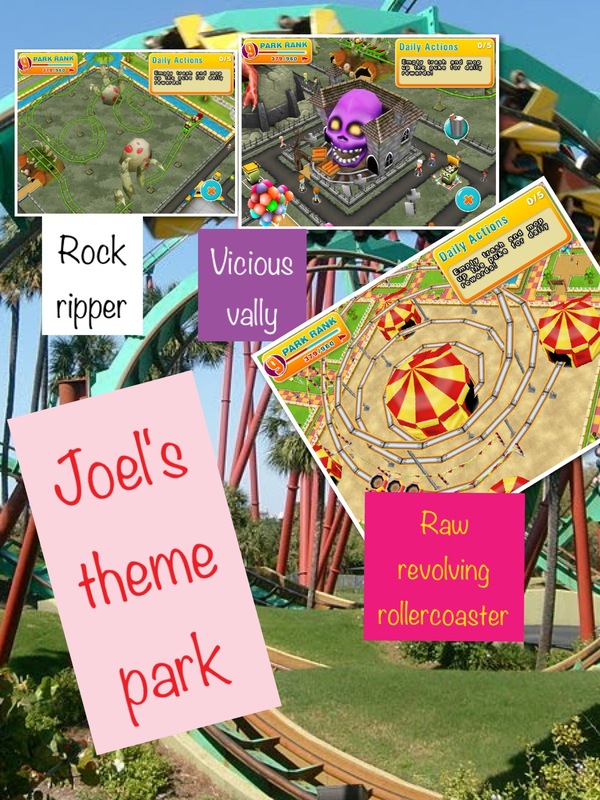 I didn't really allow the children play the game as it is intended, instead used the Master Theme Park that the children can roam around and see all the different parts, rides and attractions. 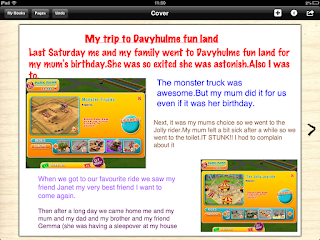 As a focus for Year 3 we used the app to produce some writing. 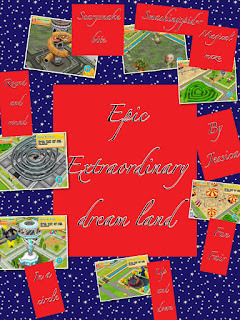 The children were glued to the screen as they wandered around this fantasy Theme Park. 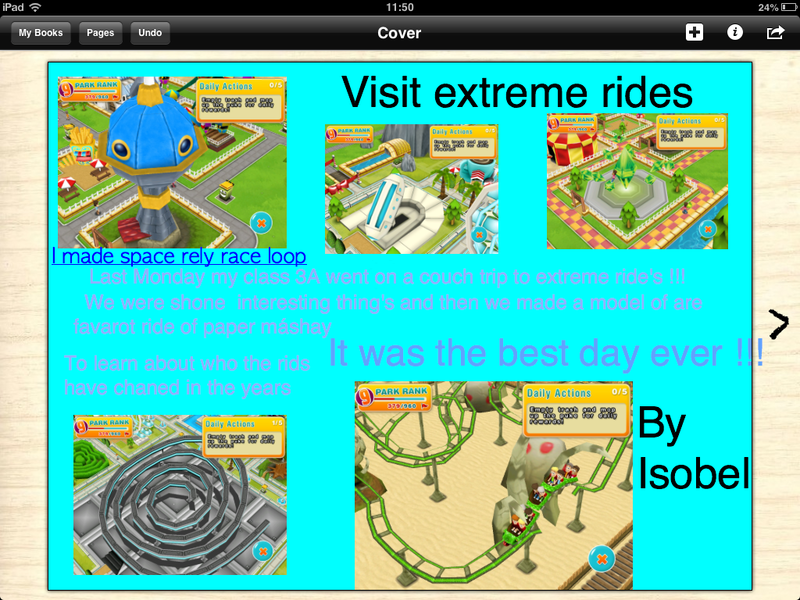 I asked them to take photos of different rides they thought they would like to go on if they visited this Theme Park. This was a great opportunity for children to look at the effect of using alliteration but also how effective certain adjectives are. 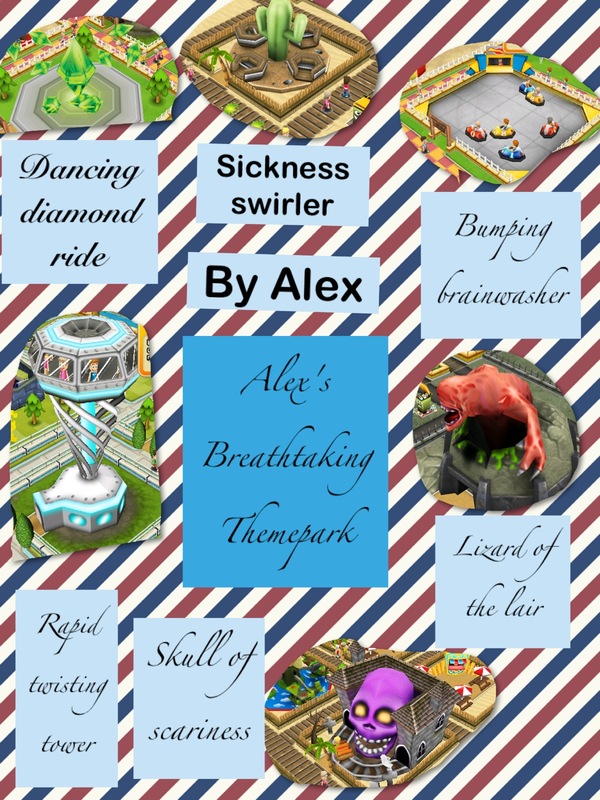 The next lesson we looked at making persuasive adverts for our Theme parks, using our posters and continuing to develop our use of exaggerated vocabulary to make the rides sounds better than they may actually be. 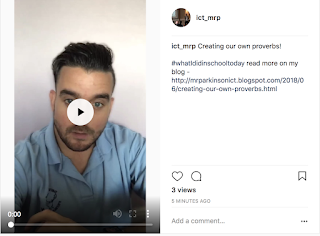 Using iMovie trailers the children used screenshots from the app as well as videos of themselves looking like they were at the park or even on the ride. 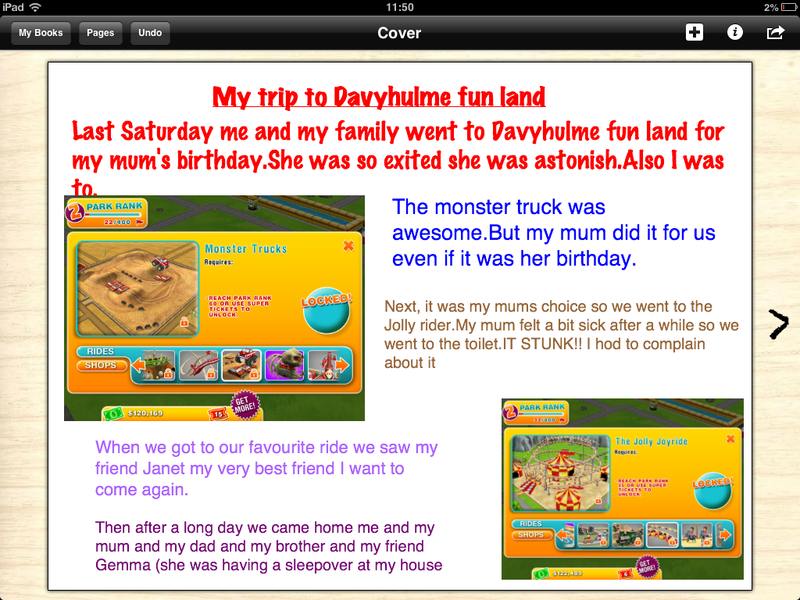 Theme Park Persuasive advert from Davyhulme Primary School on Vimeo. 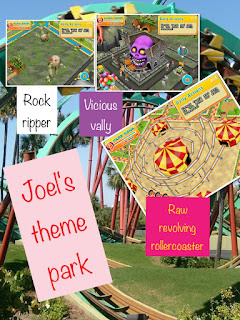 @SimonHaughton has a scheme linking theme parks with spreadsheets and numeracy - you can download his planning here. 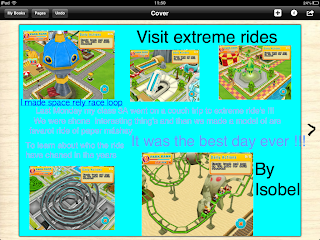 Use the app iRollercoaster and let children write a description of being on a rollercoaster focusing on the senses/fantastics. Write a letter to the council suggesting they build a theme park in your town. Use this as a tool to debate whether it would be a good/bad idea. Put the children in role as different parties - homeowners, Councillors, theme park owners and let them look at reasons for/against. Use Google Maps to look at other Theme Parks around the world. Fill in a world map, find out where the oldest/biggest/most expensive roller coasters are. 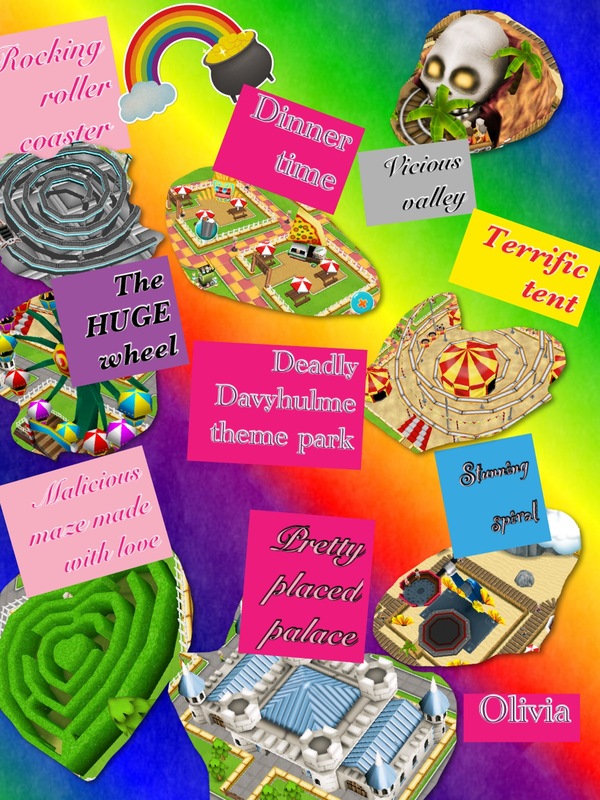 Let the children discuss which theme park they would like to visit and why? Let the children design their own rollercoaster, what would it be called? What would it look like? Create an investigation looking into the angle and height a toy car needs to be released from to complete a loop the loop. Look into the history of Theme Parks, where was the first? How have Rollercoasters and rides evolved over time? Contact a rollercoaster designer through Twitter and see if you could Skype and interview them. Tap Zoo - Build your own zoo. Jurassic Park Builder - Build your own Jurassic Park, would be great with a dinosaur topic. MineCraft - Build and create your own houses and mansions - there is a LOT of potential with this game and one I will be investigating more over the next few weeks. Megapolis - Build and run your own city, great links with Geography and local environments. The Sims - Live as a virtual character - this has a 12+ rating so will not be appropriate for Primary children. Design this Home - Children can build their own home, adding all the different elements - would link lovely with persuasive texts. Search on iTunes for Simulation Games and there are tonnes of similar apps with different themes, however I cannot guarantee the quality of these apps. 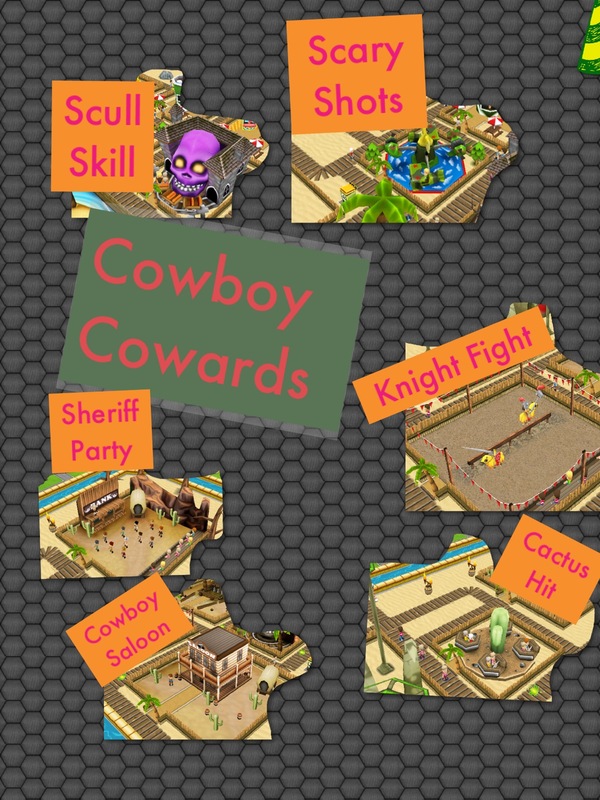 I just want to say I am in no way suggesting these apps should replace a school trip. School trips are a necessary enrichment experience all children should have throughout their school lives. I thoroughly believe the more hands on learning experiences children have, the better. If you can actually get to a real Theme Park, the children would learn much more than using this app. 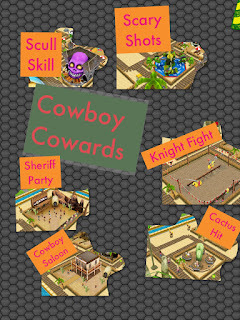 This is just a substitute to use as a tool to link topics together which may promote the camouflage learning approach. 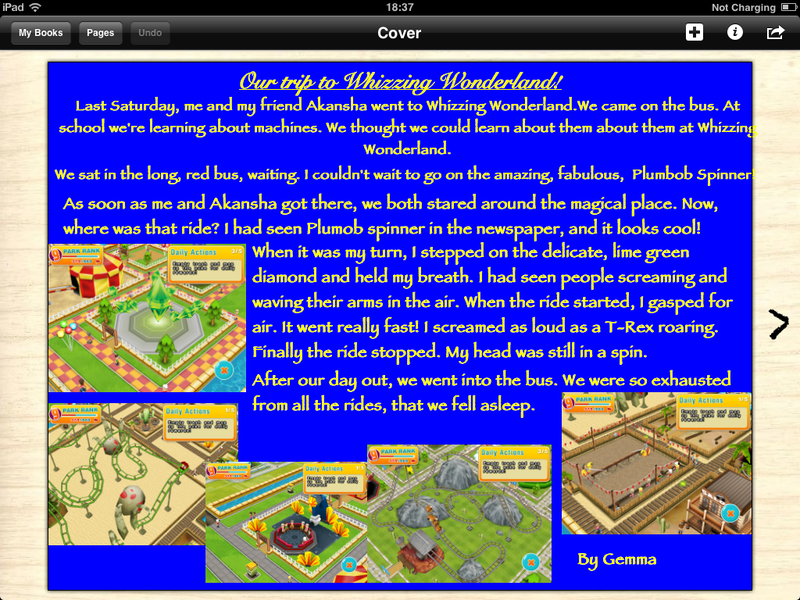 Nice twist on using Book Creator in the classroom. 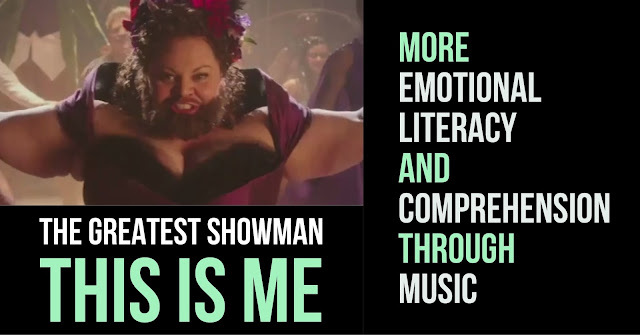 And Theme Parks - a cool idea! Do you remember Theme Hospital? That was a funny game. 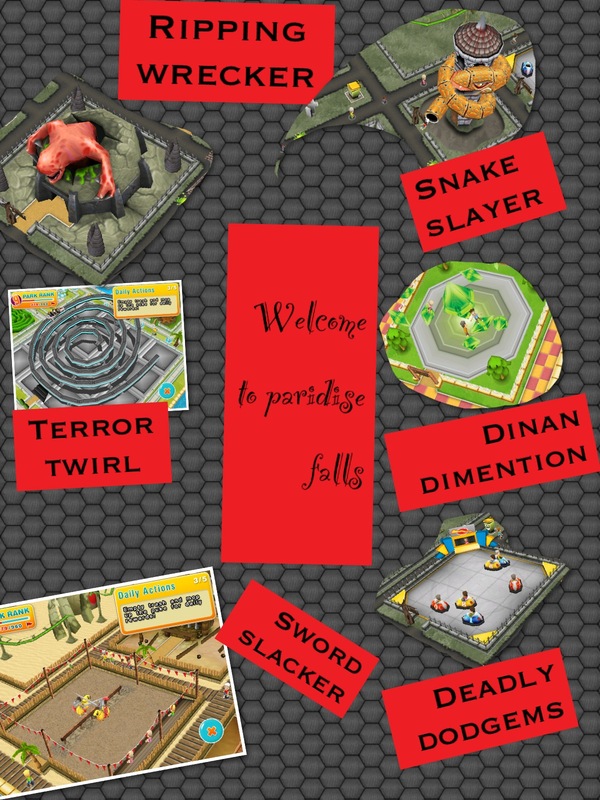 Do you know any simulation games that are accessible without an iPad?